Gwen C. Edwards brings over 30 years of experience building products, services, and profitable business units in high technology sectors. From Stanford Research Institute to Fortune 50 executive (SBC, Nortel Networks, Bell Canada, to Venture Capital backed technology start up CEO and advisor, she unites the knowledge of successful brands, experience with scale, and the skills of managing innovation. Since 2001, Gwen has been working in advisory capacities with angel and venture backed companies assisting with capital formation, key milestone achievement to enhance value, developing target market strategies, cultivating customer input, and assisting in the execution of key deliverables. Gwen is known for her customer advocacy efforts -whether to obtain input early in the technology development process, to lead stellar sales efforts, or to build the strong linkages between stakeholders and strategic initiatives. 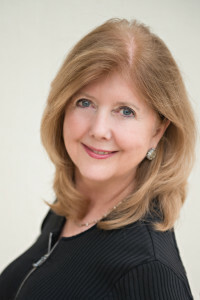 Prior to joining Silicon Valley’s entrepreneurial ranks in 2000, Gwen was President of Pacific Bell Network Integration and Business Internet Services, a $400M high growth business unit of SBC Communications (now AT&T), which she grew from a $50 Million business to $400M in less than 24 months, delivering enterprise wide customer networks, with a focus on Internet and electronic commerce based solutions. She also established and grew to a $200M dollar business, a vertical market group for Pacific Bell focused on the health care and biotech markets, building on the success of new programs she previously launched for Pacific Bell’s National Accounts organization. Gwen’s early career affinity for innovation at SRI caused her to quickly pursue a complementary background in business, recognizing her passion for commercializing innovation and going beyond applied research. She joined Bell Canada, in Montreal, for international experience, and soon was responsible for the development and launch of a major content infrastructure project nationally and internationally (iNet). She returned to the United States with Nortel Networks, and became Vice President of Sales for their largest unit. She has led business development and sales efforts for major firms and has experience that includes marketing, sales, general management, and entrepreneurial leadership, basic research and product development. She holds an MBA from Pepperdine University, an MA degree in Communications from California State University, and a BA from the University of California (National Scholastic Award Scholarship). Gwen currently serves on the advisory board of Astia, an organization dedicated to the success of women entrepreneurs, as well as co-leads Golden Seeds San Francisco, an angel investment network. She also serves on the board of the National Health Foundation.